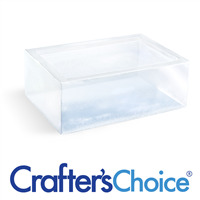 Our Premium Extra Clear Melt and Pour Soap Base is transparent with a clarity score of 9 out of 10. It is our best-selling soap making base and has a creamy lather with big bubble foam. The ten-pound block makes (40) 4 oz. bars of soap and measures 12" x 11" x 2.25". Package: 10 lb Block Melt Point: 122º F.
Sorbitol, Propylene Glycol, Sodium Laureth Sulfate, Sodium Stearate, Sodium Myristate, Sodium Cocoyl Isethionate. Sorbitol, Propylene Glycol, Sodium Laureth Sulfate, Stearic Acid, Myristic Acid, Water, Sodium Hydroxide, Sodium Cocoyl Isethionate. COMMENTS: clear soaps with water soluble paper. COMMENTS: I used this base for my first time making soap and I love it. I typically don’t like bar soap as it’s drying for my skin but I love this! I added slices of luffah, mica powder and fragrance oil and it came out great. I just finished the batch and almost sold out three days later. I’ve already purchased more. COMMENTS: Love this product for so many reasons. It can be used for embeds for cp soap, bath bombs, and scrubs! Or on its on! COMMENTS: Excellent for layers, swirls, and color! The only clear base I use! 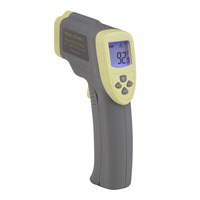 "The Absolutely Necessity for M & P Projects!" COMMENTS: This is the Go-To Base for me. I use it in mostly all my soaping projects, especially when I need a true black or perfect color. It is crystal clear and sweats little to not at all. A nice, lather and easy to work with. COMMENTS: My customers love this base. 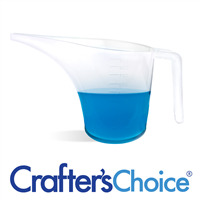 Crafter's Choice has the best bases. Super easy to work with. You have plenty of time to work with colors and designs before the base gets too hard. 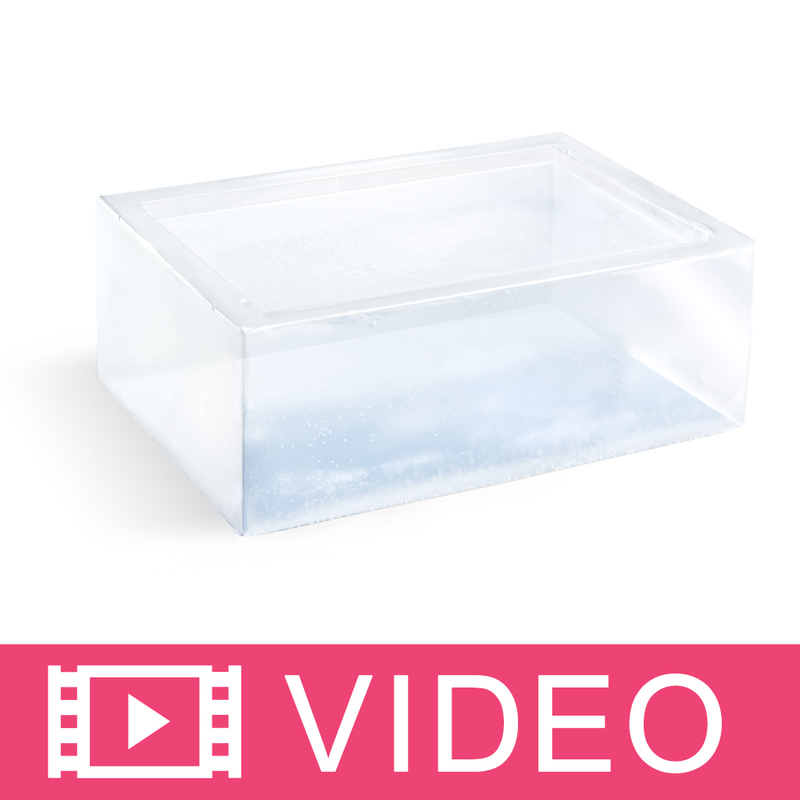 COMMENTS: This premium extra clear MP soap base is wonderful for layering. It accepts color so well. It is just right for the base layer to my embed paper soaps. COMMENTS: This is a must have for paper embeds in soap. 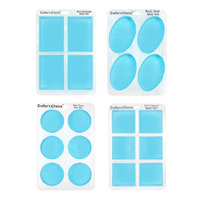 So wonderfully clear, melts easily and fully. Spray just a small amount of RA and place the paper and my projects are so cute! COMMENTS: Happy with the clearness of this soap. Lathers well. 10lb block is easy to cut. COMMENTS: This worked wonderfully for my embeds. Very clear, and also mixes will with micas. This soap doesn't sweat. I'll be ordering more in the 24 lb. COMMENTS: This make a stunningly clear base! 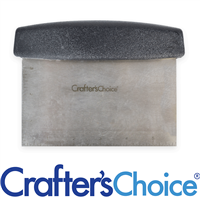 COMMENTS: Crafter choice premium extra clearmelt and pour 10 lbs block is a great price. It produces creamy bars of soap with a nice lather. COMMENTS: This is an excellent soap base to work with. My micas colors look beautiful and vibrant in it! Will continue to order this M&P base from WSP from now on.